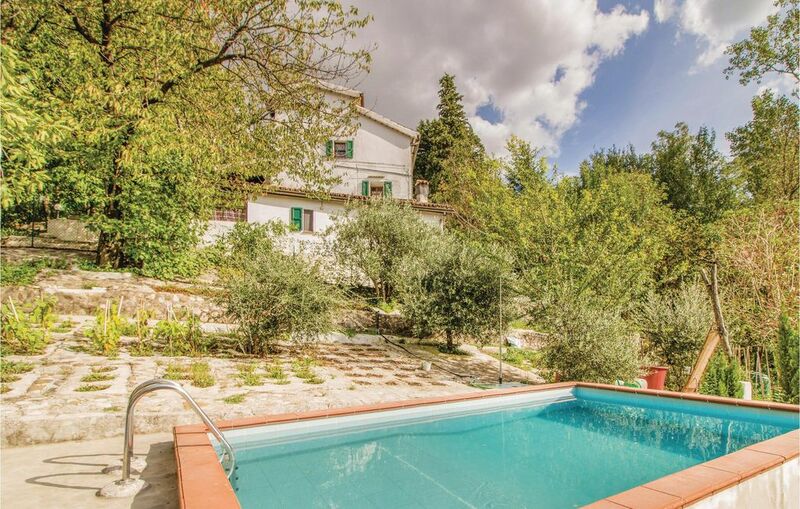 Nice part of a semi- detached house with small private pool only 2 km from Sant'Agata Feltria, in the hinterland of Emila Romagna with great view over the surrounding hills. The equipped garden allows to organize dining alfresco. In the dependence, upon payment, possibility to use the whirlpool and the sauna. Sant'Agata Feltria is known to be the "Town of Christmas". Each year in December you may find countless Christmas markets and St. Klaus's home: a real paradise for children. For food lovers, we suggest you the truffle festival in October. Ideal place for nature lovers: the famous Parco del Sasso Simone e Simoncello, a suggestive protected area where practicing trekking or excursions immersed in the nature is 30 km. Thermal baths are 33 km. the rooms are on different levels which are not connected internally. The owner lives in a part of the house.